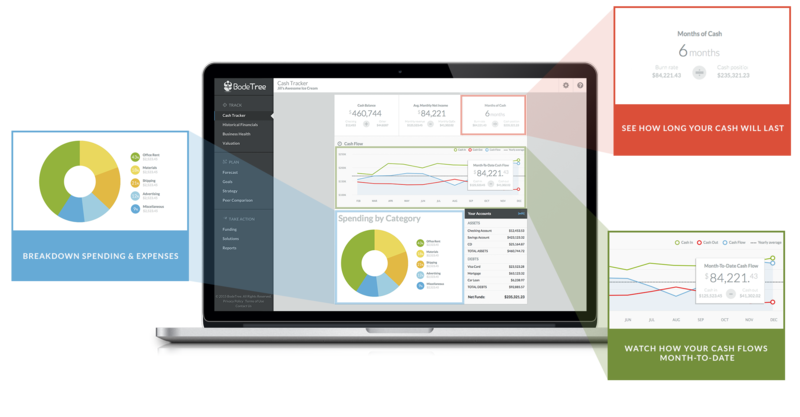 If that shoebox full of receipts in your office gives you nightmares, the Denver-based startup BodeTree wants to gently rock you awake and offer you the accounting equivalent of breakfast in bed. There are plenty of other startups who are already in the business of making your existing financial data look really beautiful -- think Sageworks, ProfitSee or Fathom. But where BodeTree aims to break new ground is in bringing online those small-business owners who don’t have their receipts organized. Before this new feature, a business owner who wanted to gain access to the financial sorting, planning, analytics and advice that BodeTree offers would first have to enter all of his or her data through an accounting software program like Intuit’s QuickBooks. The problem, Myers found, is that a lot of small-business owners fail to properly track their finances in a digital accounting program to begin with. “Our philosophy isn’t to work with people who have good books and accountants and help them visualize data better than they could in other channels. Our whole model and goal is to unlock the potential hidden in those millions of small businesses that don’t have accountants, don’t have data, that are literally out there, working every day, and have no idea how their business is doing,” says Myers. BodeTree, which launched in June of 2011, currently has about 50,000 small businesses actively using its platform. The 14-member startup has received $5 million in funding and expects to be profitable by the end of this year. The company is also partnering with banks and financial institutions across the country, having them share BodeTree with their small-business clients and give it to them for free. The version of BodeTree that partner institutions share with their small-business clients is approximately valued at $600 per company per year. Myers expects to have BodeTree either already being used by, or actively being promoted to, 500,000 small businesses by the end of next month. For a BodeTree partner, having all of its small-business customers working with BodeTree means that it can have constant, real-time knowledge of what a business needs at any given time. 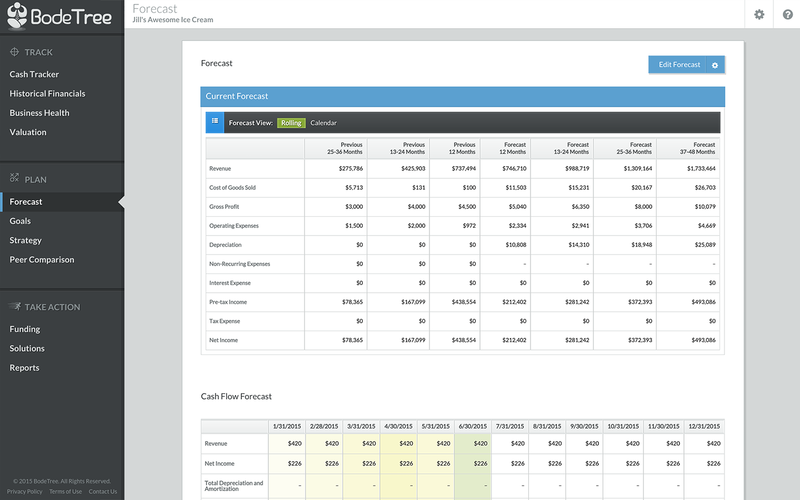 Have a look at the screenshots below to get a sense of what a BodeTree platform looks like for a small-business customer.